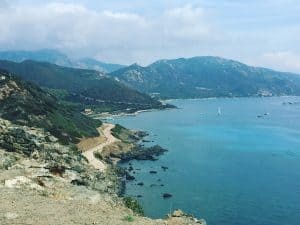 Corsica is famed for its outstanding scenery: towering, rugged mountains, emerald green forests which sweep across the island, wide stretches of golden sand beaches, and imposing fortresses that overlook its charming towns and cities. 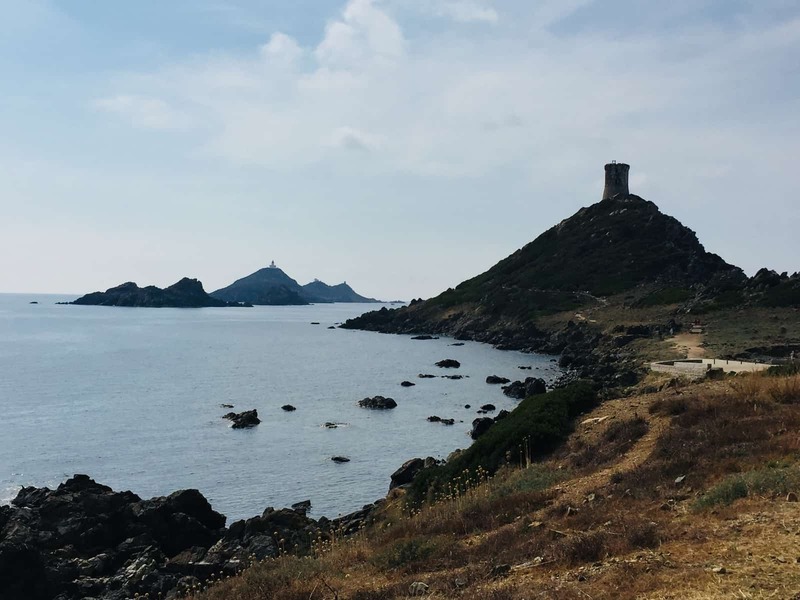 However, the sheer fact that two-thirds of this French island is mountainous and a fifth is forested means that exploring this spectacular scenery on a short break without a car can be a challenge to say the least. 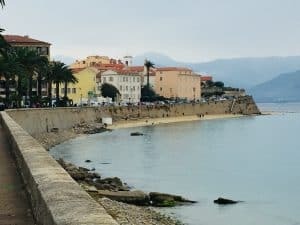 But it is possible to glimpse a snapshot of this island’s spectacular treasures, as we discovered in our three-night break to Ajaccio, Corsica’s capital. 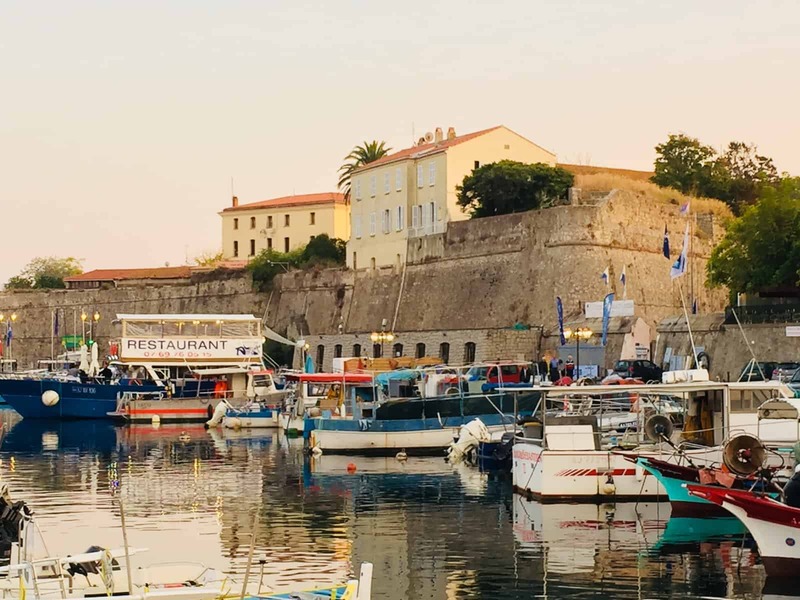 Small and compact as capitals go, Ajaccio has a certain charm. Lying in close proximity to the coast, it is blessed with a plethora of sights (see my forthcoming post which focuses more on the town and its proud links to Napoleon Bonaparte). 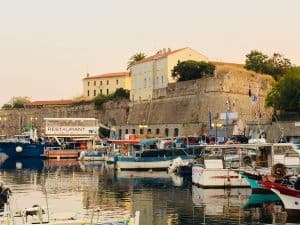 However, any visitor to this fascinating city should not turn down the opportunity to venture a bit further afield; beyond the city walls you’ll discover some spectacular coastline. Just off of the main square, we boarded the number 5 bus for the 20-minute drive to Parata. Stay on board until the last stop (get off where you see the small church, a car park and visitors’ centre), and you’ll be at the start of an incredible walk. There are actually two routes you can take here – one, which takes you behind the church and up over the cliffs along the coastline on a sandy path past small rocky bays, and a second which takes you up towards the Sanguinaires Archipelago, a series of small islands scattered like dice off the coast. Both are relatively easy routes to take, although if you only have time to do one, then make sure you go to the archipelago. 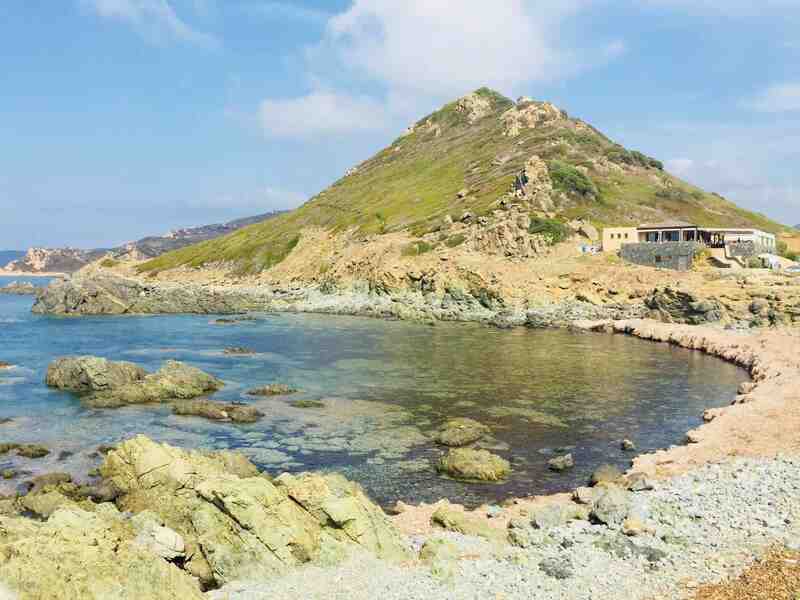 The first stretch is a very manageable 15 to 20-minute walk along a wide flat paved road which skirts the sea with its rugged rocky outcrops and boats moored up; this part is wide enough for tour buses to run along and so you won’t miss out if you have mobility issues. It takes you to a viewpoint overlooking the water, with a fantastic café/restaurant, a perfect spot for stopping and soaking up the surrounding scenery. If you keep going, the paved road becomes a smaller, more rocky path on a slight incline and between almost scrubby bush. Look up and you will see a small turret, La Tour de la Parata, imposingly set high up on a hill; built in the 1500s to protect the coastline from pirates, the turret is an excellent example of Corsica’s Genoese past, one of many of barricades erected across the island and that you will see in many of the coastal towns. 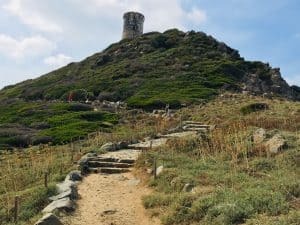 The path leads you ever more towards the tower and the Sanguinaires archipelago, with the individual islands soon rearing into view. 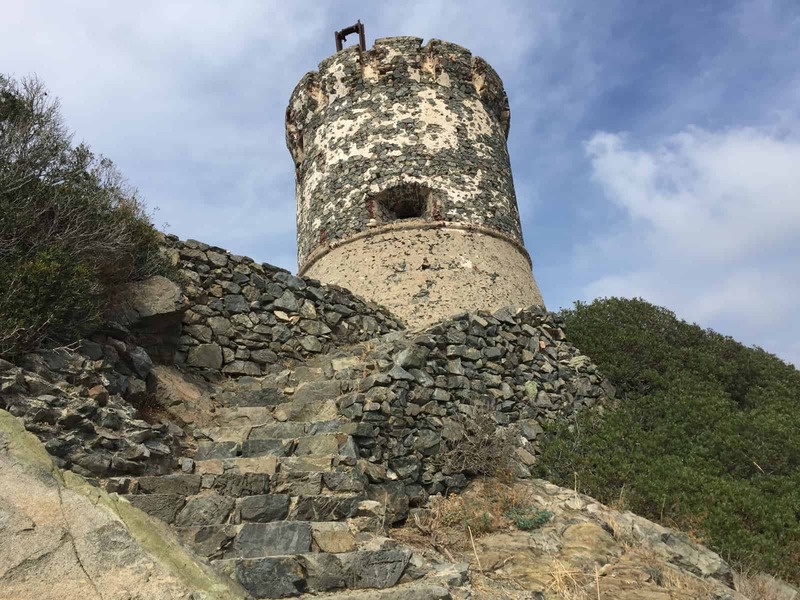 As you’re nearing the tip of the peninsula the tower starts to loom above you and you can walk up a steep staircase to reach it. Although it’s a bit of a taxing climb up a series up stone steps, it is definitely worth the effort for the incredible, panoramic view that awaits you at the summit. 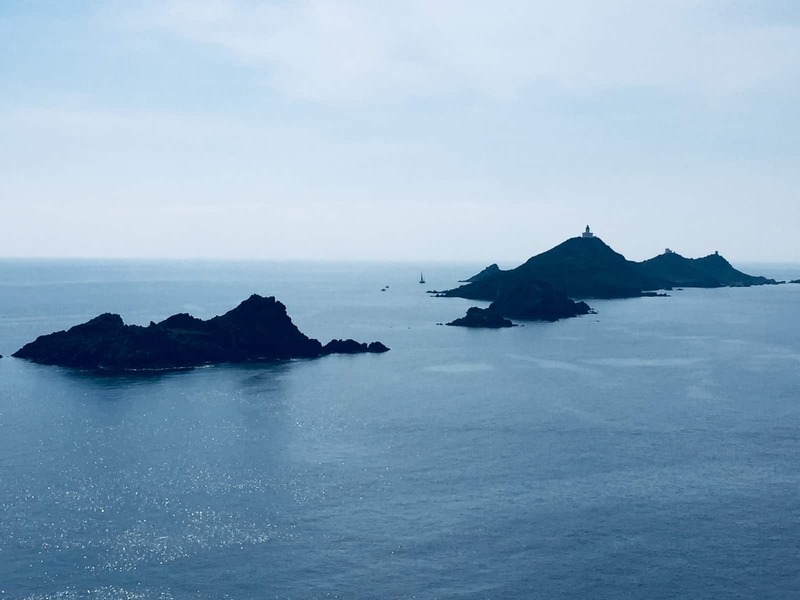 From this vantage point, you are awarded breathtaking views across the sea towards the islands, and you’ll see a small lighthouse peeping out from the summit of one of the outcrops; the silhouettes of the Sanguinaires rising out of the glittering blue sea and the relative silence here (save a few birds squawking) lends the setting a slightly mysterious feel. Take a few moments to soak it all in; if you have time, don’t rush back. When it’s finally time to head back, don’t forget to stop occasionally and look again at the stunning panoramic views. It’s another opportunity to walk along the side of lapping water and peer down over the cliffs – and a reminder that you need to look at things from every angle so as not to miss some of the best perspectives. 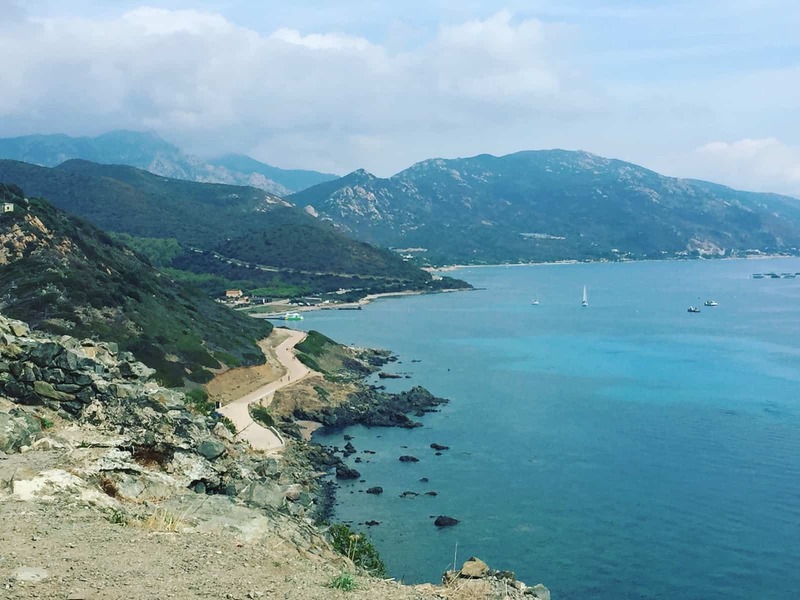 This short day trip is a great escape from Corisca’s capital, a chance to breathe in fresh clean coastal air, and experience a taste of the amazing scenery that Corsica is famous for. Don’t miss it.